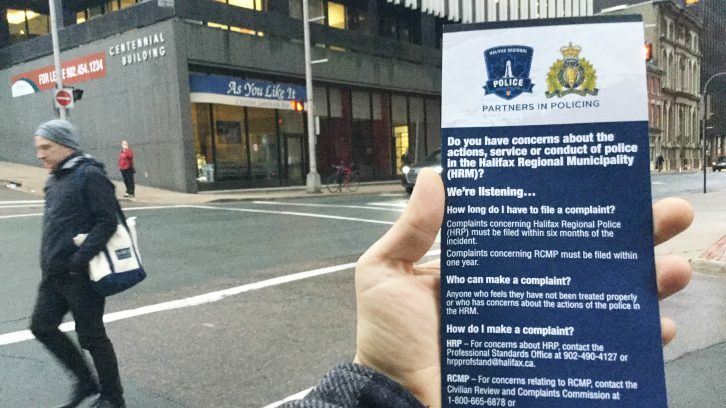 Halifax’s police services have launched a campaign to help people — including their own staff —understand the process for filing a complaint against an officer. At a meeting of the police commissioner’s board Monday, Supt. Colleen Kelly of the Halifax Regional Police, and Insp. Robert Doyle of the Halifax RCMP updated the board on the progress they’ve made since May. The plan involved educating intake officers at all Halifax police detachments about how the system works. Doyle noted previous complications, including when intake officers would incorrectly refer complainants to other offices to file their complaint. 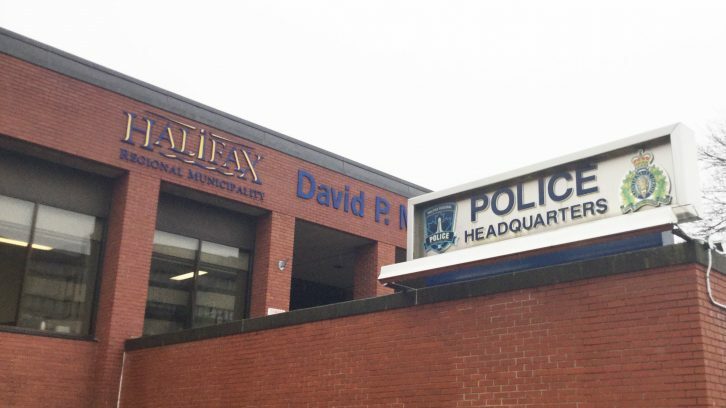 Doyle clarified that people can file a complaint about any officer in the Halifax Regional Municipality at their closest detachment, whether it’s HRP or RCMP. The processes are different because the two organizations are different, but all offices should have access to both of the complaint forms. “It’s our hope that we won’t run into another situation where somebody shows up to one of our detachments and gets sent away again,” Doyle told the board members. The HRP and RCMP have also released a brochure that describes the general process, where complaints can be filed and links to the HRP and RCMP complaint request web pages. The brochure is available in English, French, Mi’kmaw and Arabic, and is at various community centres and libraries across the municipality. The HRP has also posted links to the RCMP’s complaint page on its own site. “We want to make this process as inclusive as possible and reach out to as many people as possible, instead of just telling people to call into an office or detachment,” said Doyle. The police commissioner’s board instigated the process in May after a motion passed to have the two police forces prepare a joint communications plan. The intent was to address the lack of public understanding regarding the complaints process. 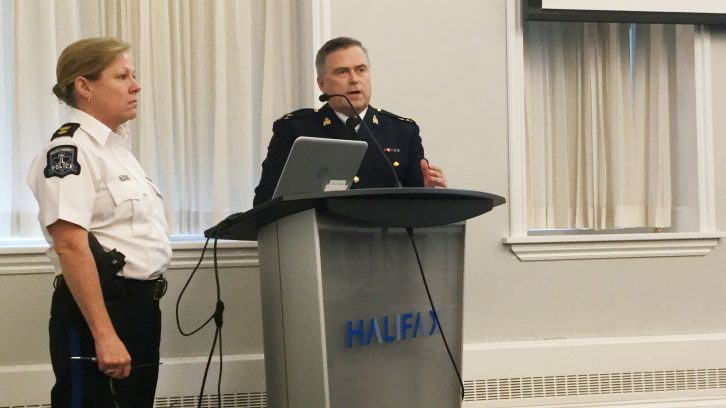 Following that meeting, HRP and RCMP consulted the Police Diversity Working Group, which offered feedback on how police might better the system. “We want people to feel like they actually have a voice and that we’re listening to what their complaints are,” said Kelly. Halifax student Magdalaina Jordison said it’s a good idea to educate people, but police still have work to do to make the process effective. “I like that they’re making it more known, but I think there are issues that need to be fixed that won’t be remedied by me being able to complain easier,” said Jordison who was wary about filing after an incident with an officer. She didn’t file a complaint about the officer because she was wary of the process. “I think that they need to address the toxic power dynamic that people often have with police officers before anything else,” she said. The HRP’s complaint process is currently being scrutinized following Cory Taylor’s multiple attempts to report alleged misconduct on the part of two officers. In October, Taylor’s lawyer called for a judicial review of his complaint that was investigated twice and dismissed both times. Kelly suspects the number of complaints will increase once more people know about the process to file one. Last year, she said, the HRP conducted 109 investigations after complaints were made at their detachments. This year, so far, she estimates there have been 89 investigations. She did not mention the total number of complaints received.